The fidget toy craze has obviously crested. 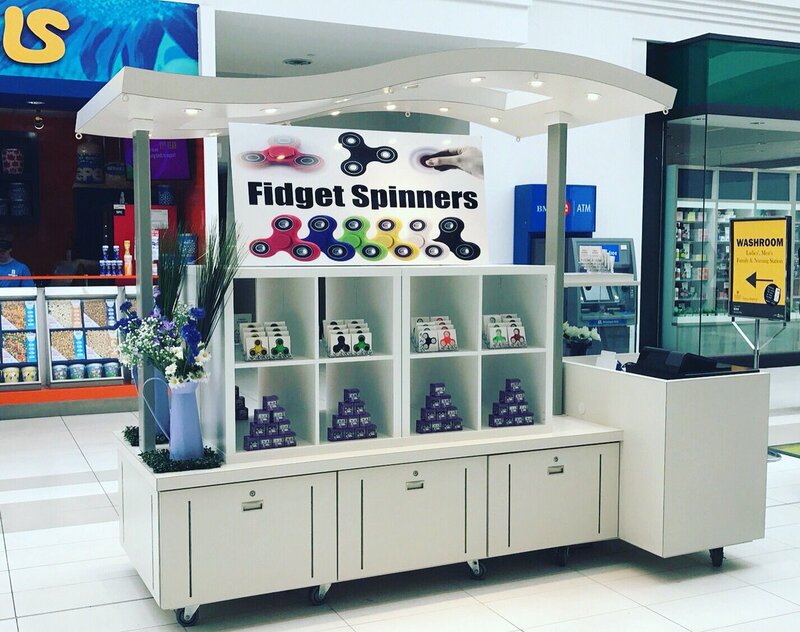 Sales seem to be waning, claims that they improve focus have become ever more dubious, and I haven’t seen that Fidget Spinner kiosk at the mall in a while. But sometime late last year I decided to back In[k]ception by first-time Kickster creators Jeffbona. It’s an aluminum pen that includes a fidget-spinning mechanism on the top end. The design of the pen is actually pretty minimal. There’s no clip, no textured grip section, and no knock. To eject and retract the tip, there is a thin, metal band with a notch that twists (and digs into your finger a bit). And, above this band, you can give the top-quarter of the barrel a flick with your thumb and it will silently spin for 30 to 45 seconds. Despite the gimmick, there’s nothing remarkable here, and, yet, I still found myself flicking the spinner over and over. As the type of person who has the urge to click-click-click retractable pens all day, this pen grew on me. Though I take some ribbing at work over the “rose gold” (metallic pink, really) color, I’m sure my coworkers appreciate that fidgeting with this pen is practically silent. For non-fidgeters, there’s not much to recommend in the In[k]ception. It’s a bit top heavy, the retracting mechanism is somewhat uncomfortable, and though the 0.4mm Schneider Gelion 39 (gel) ink is quite dark, it’s also surprisingly thick and smeary. Besides, the pen doesn’t seem to be available outside of Kickstarter (yet) anyway. 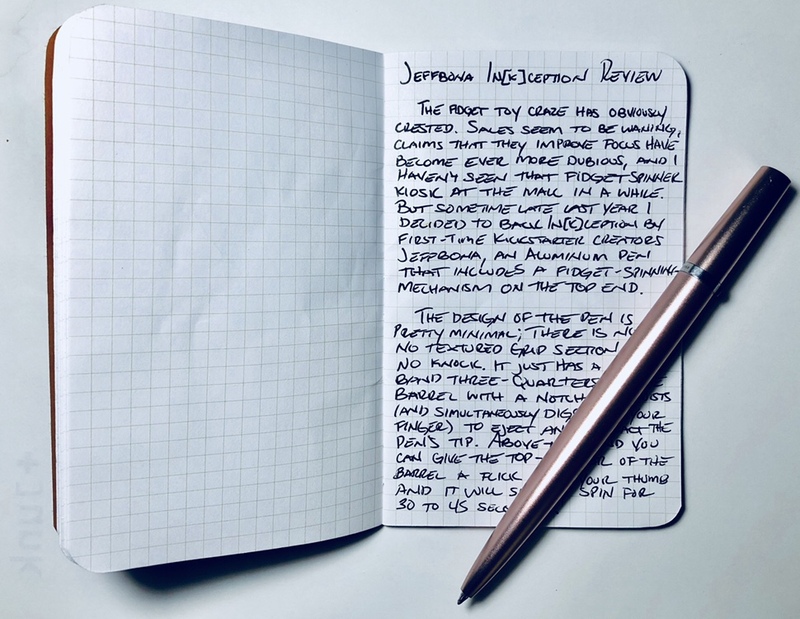 So if you want something with a similar look – but without the fidget attachment – see the Baron Fig Squire, or if you want another pen that’s good for fidgeting, check out the Pilot Down Force.